The marine-capable DTS-12 is the World’s Best Instream Turbidity Sensor. Using true Nephelometric geometry, along with a durable optical face and angled head that sheds bubbles, it provides extremely clean, highly precise data with repeatable, long-term accuracy. The DTS-12 exhibits less than 2% annual optical drift, providing an incredible 12-month recalibration interval. The unique self-cleaning wiper minimizes bio- fouling. These features can typically save 11 site visits per year. Set it and forget it. For up to 12 months. 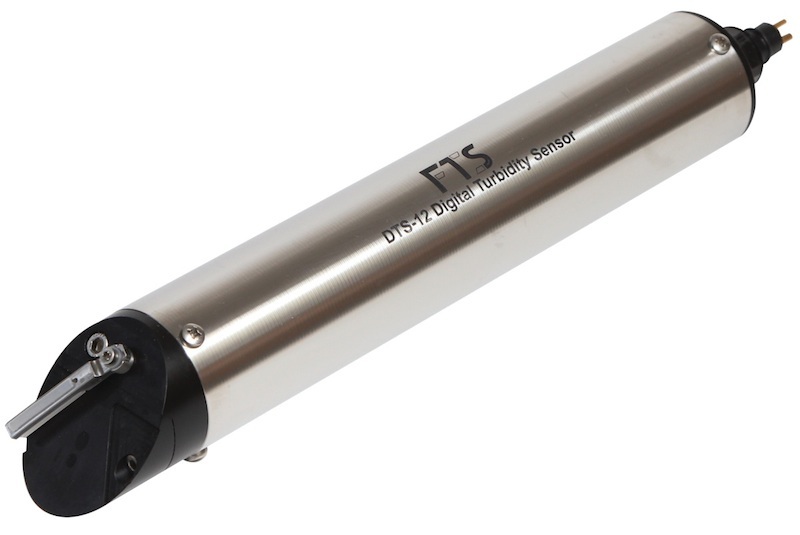 The DTS-12 is the first turbidity sensor to use a laser diode light source, a coherent, narrow, near-infrared spectral beam that provides a constant intensity with virtually no degradation over time. Unique, self-cleaning, bi-directional design utilizes a back- and-forth motion and two cavities in the face of the sensor that scrape away any fouling twice each time the wiper is activated. Non-abrasive silicone wiper blade prevents optical face abrasion and cannot be impregnated with sediment or bio-fouling. Integrated thermal compensation provides very high thermal stability of light source and electronics. Accurate readings for up to 12 months.